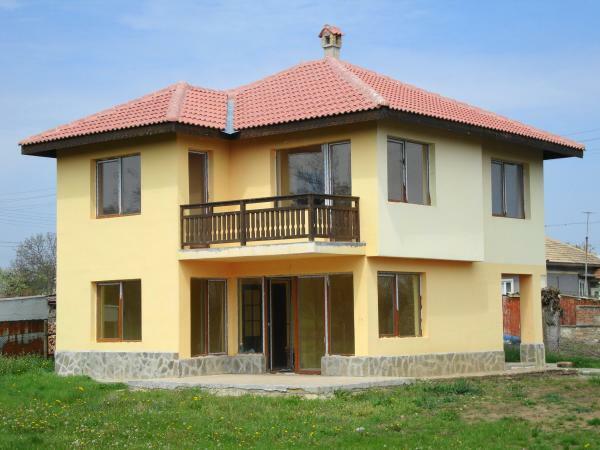 Newly built stylish house situated in a lovely village which is 4 miles of Balchik. Beatiful nature, closeness to the pine forest and to Balchik in the same time makes the area very popular among the investors and developers. The house offers bright and spacious accommodation, total living area is 150 sq.m. Second floor: 3 bedrooms, 2 bathrooms and toilets and a balcony. The house is finished according to Bulgarian standards which means they need some additional works - floorings, bathroom equipment, painting. Internal finishing of the house could be done by the developer upon the customer\\\\\\\'s requirements at additional payment. The property comes with 600 sq.m. plot of land with a parking lot.